A new month and a new card for the never ending alphabet swap. This time the letter is G. G is for Giraffe. 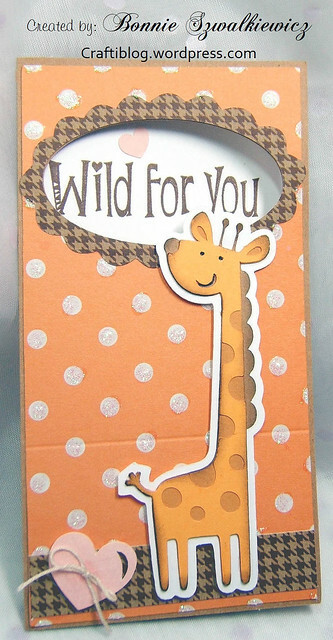 I cut a card base, liner, frame, hearts and giraffe all from Cricut cartridges. This card was cut to fit in the 6-3/4 size envelopes that I have on hand. The sentiment is by CraftSmart. Here you can see the layers. 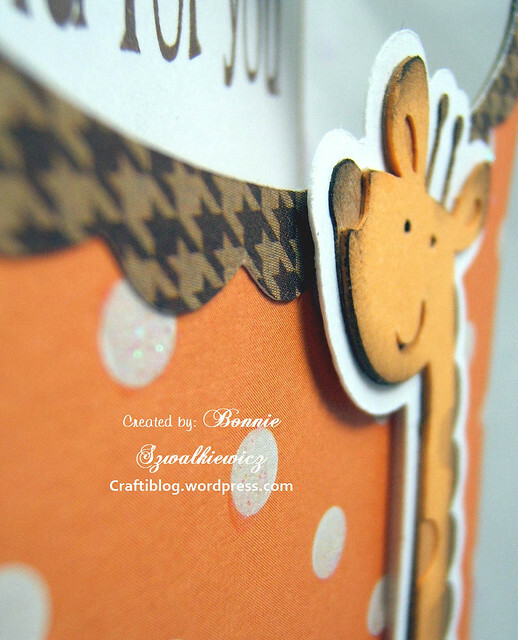 The frame is glued flat to the card; the Giraffe is popped up on foam tape. Card base, liner & frame cut from the Wild Card cartridge. Card, liner & frame all cut at 6″. The heart at 1.25″, the mini heart was part of this same cut. 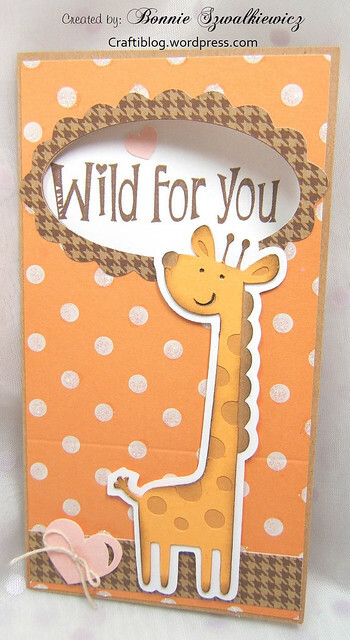 The Giraffe was cut from the Create a Critter cartridge at 4″. Before mounting it to the white backing I shaded it with dark brown. I also used a gel pen and darkened the eyes and mouth so you could see them. 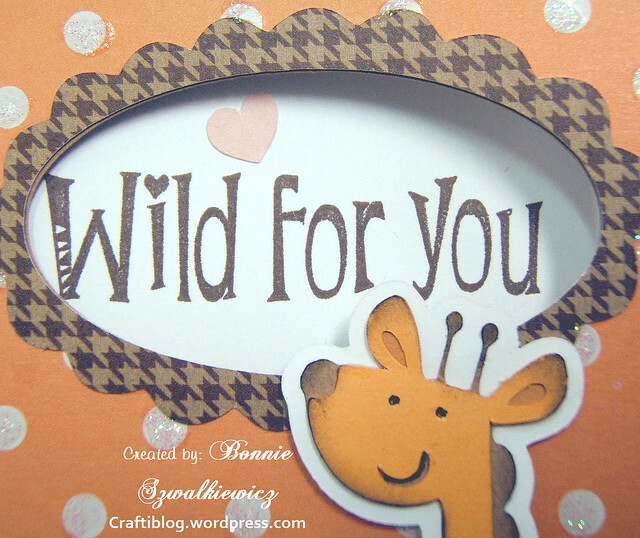 Very cool card, Bonnie – so cute!